They must deal with a faerie invasion from Avalon, sleeping giants, an ancient dragon in the guise of a petty thug, a plague of Jack-the-Rippers, and an extra-dimensional Martian invasion. Guest stars Shang-Chi, Master of Kung Fu along with Captain Britain. Wisdom is the greatest architect of self-inflicted misery and his adventures must always end in tragedy. 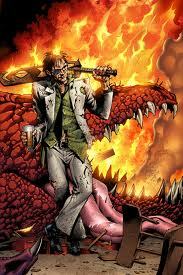 Building a home at MI-13 and pulling together a team against considerable odds can he possibly break the cycle? Mike Tells It Straight: Paul Cornell is known for his writing on BBC's Doctor Who television series. His comic book writing is rough, playing fast-and-loose with plot details to emphasize widescreen action (a la Warren Ellis' The Authority) and shock moments. 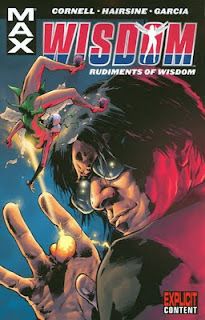 Marvel did two things right here - got a British writer to write British characters (although this causes some mild confusion for American readers) and put Pete Wisdom in a MAX format book. Although Wisdom is not compelling or deep enough to carry a solo title he works well on a team, which this book essentially is. 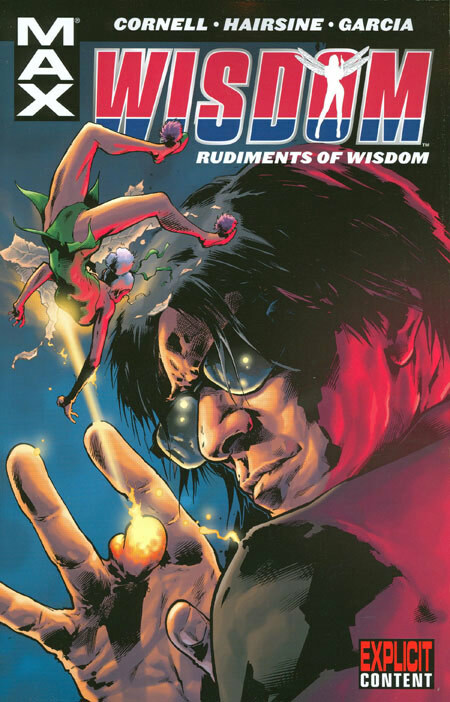 This mini-series was a precursor to Captain Britain and MI-13 (after New Excalibur ended) continuing with writing by Paul Cornell. Overall a slightly mediocre read due to the writing and art switch, but must-have for CB&MI-13 fans and still entertaining.